It looks like Razer’s jumping into the gaming display market in a big way. At CES 2019, they let us peek behind the curtain at the Razer Raptor, a 27-inch, a brand-new IPS display with a 2560×1440 resolution, Freesync support, and a 144Hz refresh rate. The aluminum base has built-in RGB (of course) as well as some interesting cable management options as well, allowing you to hide the flat cables that come with the display for a sleek, seamless look that’s sure to please minimalists. The cloth back sets it apart looks-wise, and the 90 degree rotation allows easy access to the HDMI, DisplayPort, USB-C, and USB 3.1 ports. Razer is refreshing their Blade line of gaming laptops for 2019 as well. They’ll be upgrading internals, including Nvidia’s new RTX GPUs (you can pick from a 2060, 2070, or 2080). You’ll be able to choose between 1920×1080 and 144Hz, or a 3820×2160 panel with Adobe RGB color. 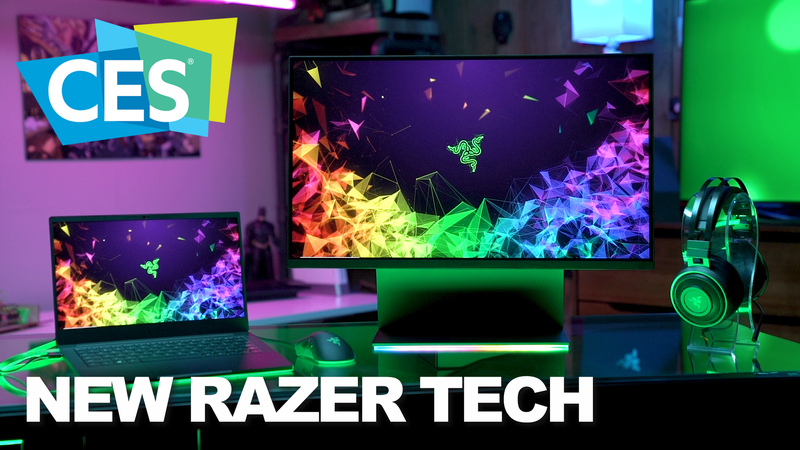 Check out the video above for the full breakdown of Razer’s plans for 2019, with Razer’s Kevin Sather and Newegg’s JC Bagnell. Pick up your own Razer laptop, keyboard, mouse and more on Newegg.